Rocket 1 - Ridgeway Colorado. Handel very nice while plowing snow. Very good tr "I got these tires about a month ago just in time for plowing snow. The traction & handling top notch." BPFL - Bradenton, Florida Great tires! Fast service! 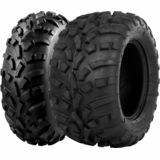 "I needed tires for an ATV I was fixing up on a deadline. They had the best price, exactly what I needed, and got them to me fast! I was very pleased with this company and would highly recommend them!"